The Coffee and Donuts Ministry is part of our Hospitality Ministry. This ministry provides an opportunity for our parishioners to gather in the social hall for socializing and refreshments after the Sunday morning Masses. The commitment level is low as this ministry is not offered every week. Volunteers set up and serve the coffee and donuts as well as stay to clean-up. For more information or to volunteer contact Terri Czapinski. The Funeral Reception Ministry is part of our Hospitality Ministry. The parish offers a reception of up to 150 guests free of cost to the family following funerals at St Teresa of Calcutta church. The receptions are held in the social hall. Volunteers provide the food and/or help set-up, serve, and clean-up for the reception. The commitment level varies depending on what each volunteer is able to provide for any particular funeral. For more information or to volunteer contact Christina Leatha. 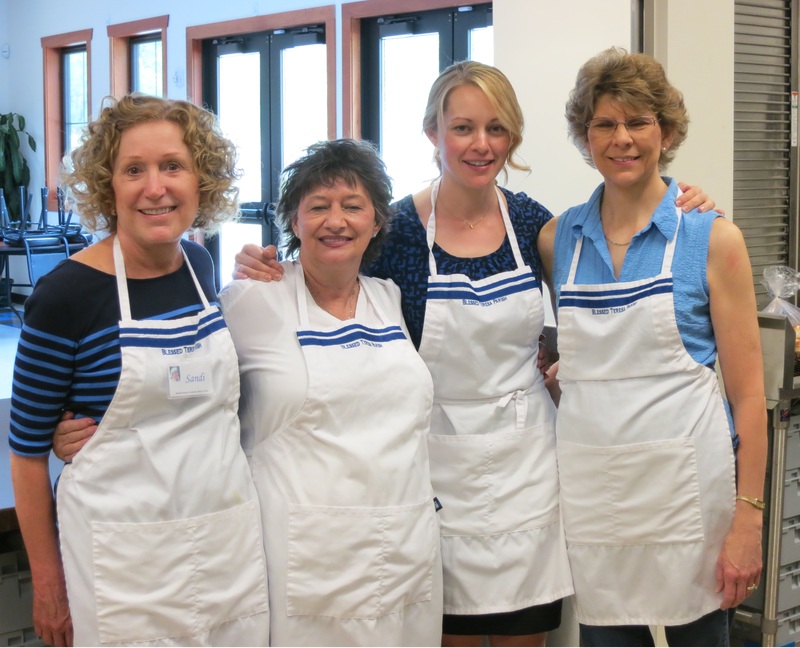 The Parish Life and Socials Ministry is part of our Hospitality Ministry. This group is responsible for planning and coordinating the annual Parish Picnic in September, St. Patrick’s Day celebration in March, New Parishioner Welcome Dinners in November and June, and other parish gatherings throughout the year as needed. The commitment level involves weekday evening meetings throughout the year as well as help during the event. For more information or to volunteer contact Judy Hurdlebrink or Tricia Allen.